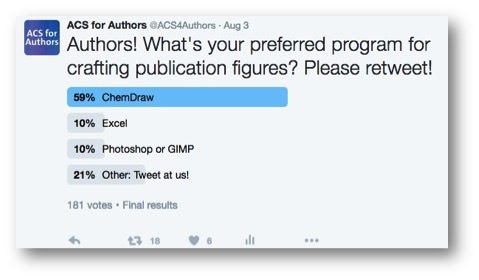 No surprises here: ChemDraw wins with 59% of the vote as the most popular program for creating chemistry figures. One of the common “Other” responses you shared was Inkscape, a free program similar to Adobe Illustrator. It’s clear that creating publication-quality chemistry figures is an essential skill for all active researchers. The task isn’t always fun, however, partially because the end result is often under-celebrated. Even when the task is unglamorous, a good publication figure is crucial to conveying your research results with sophistication and ease. To make your job a bit easier, we’ve compiled a quick reference guide to the free and paid programs you can use to craft chemistry figures, as well as a checklist to ensure all your charts, graphs, and table of contents images are up to standard. GIMP: Free image manipulation program, use with the Separate+ plugin for color conversions. Start by checking your chosen journal’s image requirements. Some journals require images in different file formats and resolutions. Make sure you’re aware of the basic publication prerequisites before you start creating your chemistry figures. 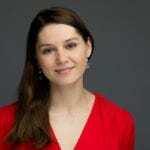 Think about what data you’re presenting. How many variables are you displaying? What visualization techniques will best achieve your goal? Remember that the reason for creating chemistry figures is to allow the reader to quickly digest a large amount of data. Consider replacing bar and line graphs with scatterplots, histograms and boxplots especially with small sample sizes. Ensure all graphs and charts are properly labeled and titled. Check for units, scales and that all axes are labeled properly. Make sure your chemistry figures are in high resolution and ideally use vector images. Safeguard the integrity of your figures by transparently outlining how the image was created. Maybe no one will ever question your figure, but what if years down the road an influential scholar does? You need to be prepared to show your work. For more tips concerning creating chemistry figures for publication, please be sure to check out the ACS Publications video series: Publishing Your Research 101, Episode 10: Ensuring High-Quality Graphics.